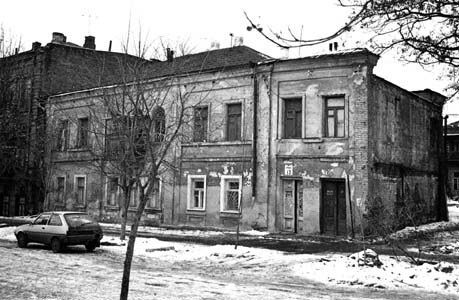 The Lubavitcher Rebbe, Menachem Mendel Schneerson, was born on Friday, April 18, 1902 (Nissan 11 on the Hebrew calendar) in the Ukrainian-Russian town of Nikolaev. Those were turbulent years for the Jews of Czarist Russia, who were subject to pogroms and persecutions. Rebbetzin Chanah told of one occasion, in 1905, in which many Jewish families huddled in a hiding place while a pogrom raged outside. The babies and young children were wailing in fright. Their parents' frantic efforts to silence them only increased their terror, and the danger of discovery was imminent. It was young Mendel, little more than a toddler himself, who saved the day by going from baby to baby and calming them with a softly laid hand or a soothing word. Years later, the Rebbe would describe his early childhood as a time in which his worldview and life's goals were already being formed. 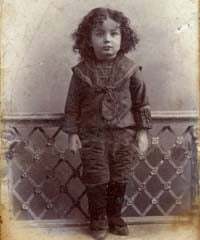 Indeed, the Rebbe had a unique perspective on childhood, which he expounded upon in his teachings and put to practical use in his programs. 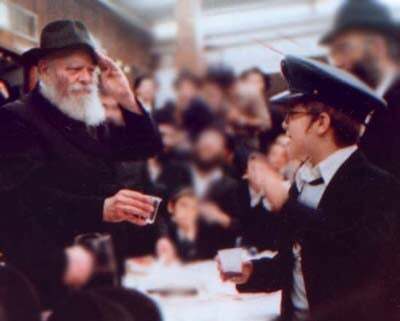 The Rebbe saw the child not merely as an adult in the making, but as a person with marked advantages of his or her own: the child's faith, trust, integrity, energy, enthusiasm, thirst for learning, conscientiousness, and sense of mission and importance, are qualities to be cultivated in the child and emulated by the adult. The Rebbe salutes a child in Tzivos Hashem - "The Army of G-d"
The purpose of education is not just to prime the child for adulthood, but also to nurture and preserve the gifts of childhood and focus them on their proper and most positive expressions. All this was not just theory to the Rebbe. In 1980 he established Tzivot Hashem, his "children's army" to bring redemption to the world. But the Rebbe had enlisted children in his work from the very start of his leadership; they, in turn, were his most enthusiastic and devoted "troops." Several times a year the Rebbe addressed children's rallies. He spoke to them in their language, but never condescendingly, issuing to them "orders of the day" that expressed his regard for them as full-fledged participants in man's mission in life. "Children have a strong sense of themselves as the center of the universe and are convinced that everything exists to serve them. There are, of course, negative aspects to such 'self-centeredness', but the feeling itself—that the individual human being plays the central rule in the purpose of creation—is a positive one. Thus the Talmud states: 'Every person is obligated to say: For my sake was the world created.' The purpose of education is to direct this innate conviction toward its proper expression: that a person should appreciate that his every thought and deed is of real, even global, significance."